You and your client deserve better! I truly hope you know that being a busy real estate professional does not have to involve any problems or concerns with home financing. The lending professional you work with should earn you money and build your clients trust and desire to refer you. They should be a tremendous asset for you. Local REALTORS, Builders, and Financial Professionals tell us every day that even their most qualified clients are having a bad experience with the financing piece. Bad appraisals, poor and slow underwriting, and a lack of professionalism and communication, are just a few of the complaints we hear. I am here to tell you that there is a better way! Imagine for a minute a transaction where you know from day one that your settlement date is perfectly fine, that the appraisal piece is in good hands, and that the lender will keep you up to speed weekly on all things important. You will review the HUD the day prior to settlement, and that your client’s interest and your professional brand are of the upmost importance to the lender. Imagine a lender that improves the way your clients think of and interact with you. At the end of each year, you should be able to look at the mortgage lending relationship you have, and realize that you have earned additional money, put in less time, and had substantially less stress. Your professional brand and ability to gain referrals from your clients should be greatly improved by the lender you work with. If you can’t say all of those things, or you have to think about it for even a second, you are missing out! We have created a client and Preferred REALTOR platform that is designed specifically with your business goals and needs in mind. Our ownership and staff combine over 75 years of local mortgage banking experience. We have full control over every piece of the process from pre qualification, to application, to in house underwriting, in house funding, and beyond. On top of the best lending platform in the area, I have built a client care package that revolves around some key core convictions. Those convictions are that you and the client are our lifeblood. 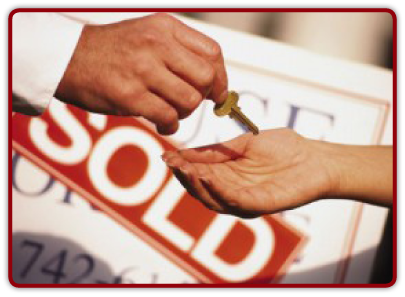 Integrity, the success of your client, and the success of your transaction are of the upmost importance to us. This allows us to create an experience for you and your client that is on a different planet from what you are used to. There is a better way to run your business. You owe it to your clients and to yourself to guide them in the direction of success. You and your clients deserve better!